YOUR CONVERSATIONS WITH GOD CAN BE AS FUN AND CREATIVE AS HE IS. Whether you’ve been praying for a long time or are just beginning to, this eight-week adventure will infuse passion and creativity into your communication with God. When your prayers feel uninspired or routine . . . If you’d like to connect with God but you’re unsure how to have that kind of conversation . . .
For those times you wonder if God is even listening . . . If you long for a close relationship with God but you feel distant and disconnected . . .
TAKE HEART: You were created to experience life—and prayer—in full color. Start with daily activities—everything from coloring pages to writing prompts to doodling—and find space to let go of fear and expectations, and discover what it means to engage with the One who loves you. 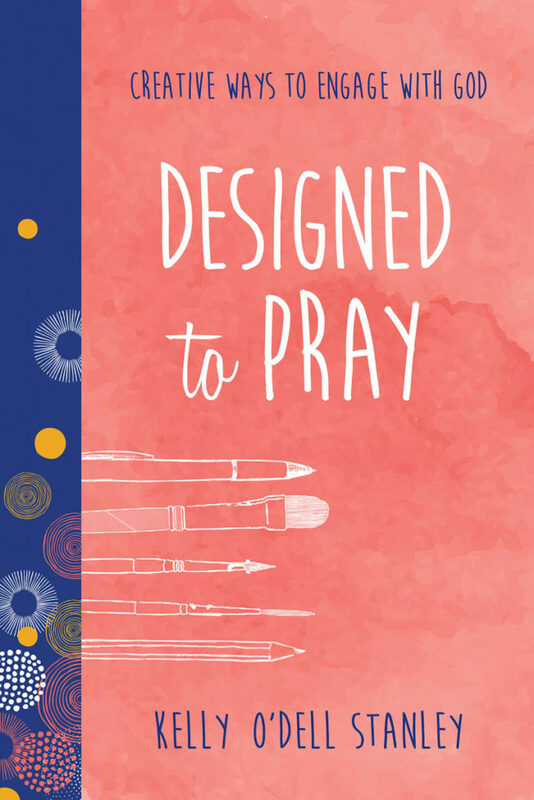 Join Kelly O’Dell Stanley in Designed to Pray—an innovative way to start viewing God, the world around you, and your faith with a new perspective. It’s what you were designed to do. From Tyndale Momentum and The Belong Tour of Women of Faith. Click here to see and download all available memes/graphics. Also available for purchase in Crawfordsville, IN at the Carnegie Museum and In His Time Books & Gifts.